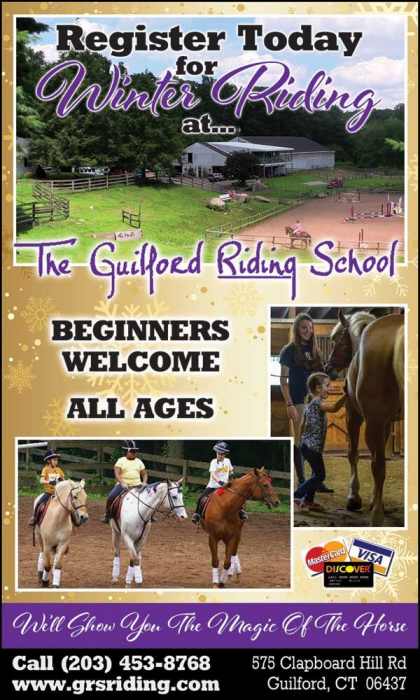 Guilford Riding School traditional English style riding lessons. Riding Lessons for all levels! A traditional English-style riding stable with a modern philosophy--anyone can learn to ride our quality school horses and enjoy all of the activities we offer without hidden additional costs. You will feel among friends, that the horses are safe and well cared-for, and that you can progress at your own pace. 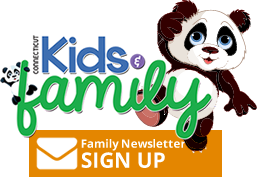 We offer group lessons for adults, young adults, children and we even have a special program called Mini-Mights for kids age 5-8. You will ride in our large outdoor arena next to a spring-fed pond graced by a weeping willow, or in inclement weather, in our Indoor arena. Friends and family can watch from our amphitheater hillside or snuggle-up in our heated observation area. Check Out our Ride 'N Splash Summer Camp! !